Intermediate « eye” Level installations. Signage positioned at this level is intended for individuals who are going to operate the equipment and/or follow the instructions provided. Ideally, they are positioned between 1.2 – 1.8m as per BS ISO 16069:2004. Signage is positioned at this level is intended to provide additional information regarding how to operate the equipment correctly and safely and what actions to undertake in an emergency situation. Everlux also includes a range specific for Low Location Level (LLL) installations. Signage positioned at this level is intended for individuals who are forced to crawl due to smoke. They are positioned at 400mm on the walls and also at floor level as per BS ISO 16069:2004. 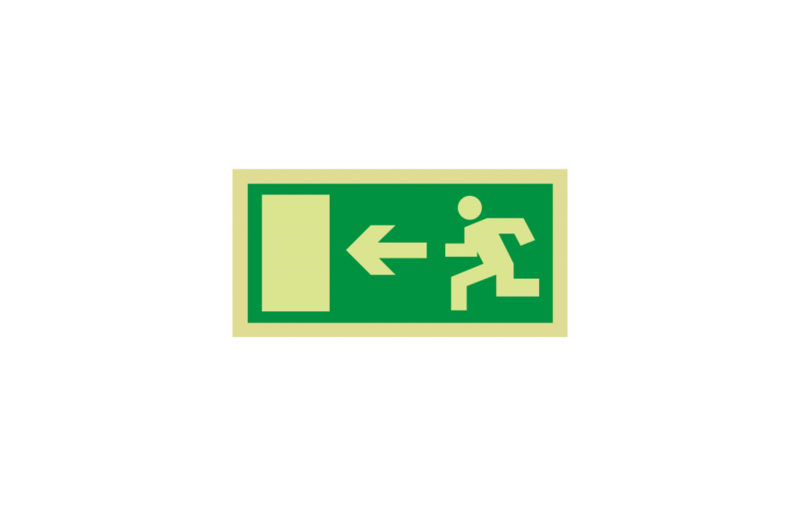 Signage positioned at this level remains the most effective method of identifying the escape routes in smoke filled environments and areas of reduced light levels (25 lux). Chemical Characteristics: Non-radioactive, non-phosphorous, lead-free and non-toxic. The company Serial S.A. is specialized in the distribution of components for fire detection, gas leakage and CO presence detection together with SHEV systems.